Ever since the expansion of Netflix into Asian territories, many Pakistani TV serials and movies have seen Netflix release which has greatly benefited audiences both local and international by making content availability easier particularly in case of films because they had to previously wait for international release or either TV premieres to get access to Pakistani content. The most recent Pakistani movie to get Netflix release was “Teefa in Trouble” which received a massive response from viewers from overseas. With “Teefa in Trouble” already proving a profitable purchase for Netflix, the latest addition to the website from Pakistan are “Chupan Chupai” and “Abdullah” which were made available on Netflix, yesterday on 15th of January. “Abdullah: The final witness” was released in cinemas in October, 2016 by IMGC and with zero buzz surrounding its release and no marketing, the Hashim Nadeem’s debut film as writer and director failed to bring any footfall to cinemas. 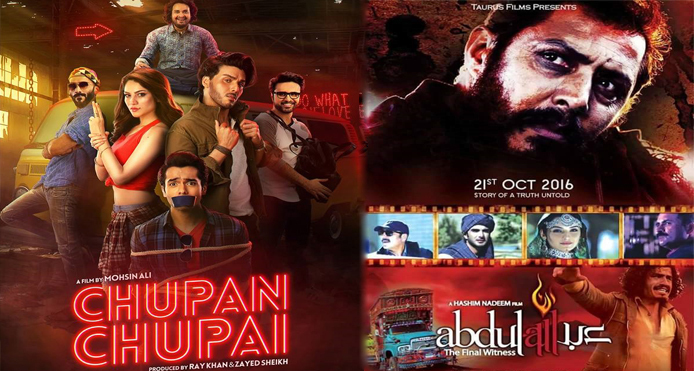 “Chupan Chupai” on the other hand, although failed to get the status of a box office hit but due to its comedy genre, film managed to bring decent footfall to theaters during bollywood ban, in the time when awaited films like “Rangreza” and “Arth” proved writings on the wall for already struggling cinema industry with their dismal box office performance.